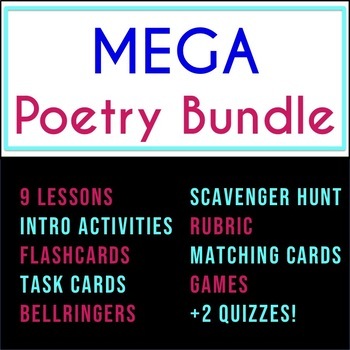 MEGA POETRY BUNDLE HIGH SCHOOL contains lessons, task cards, bell ringers, rubric, creative writing, games, and MORE! 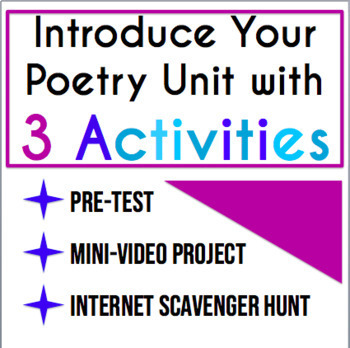 This bundle of items can be used to compliment an already existing poetry unit or as a unit on its own. 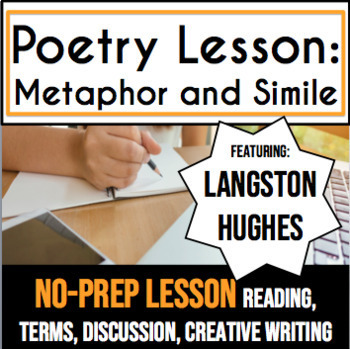 Exclusive to this bundle: two quizzes to assess students on their comprehension of the devices and concepts covered in each aspect of the bundle. 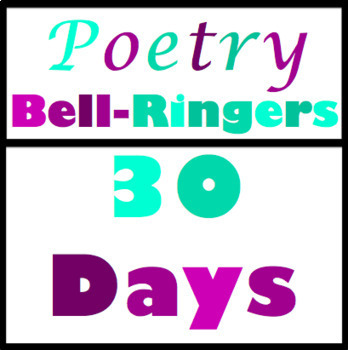 TO PREVIEW: Each item in this bundle has a preview on its individual product page. Please navigate to the appropriate page to view. Here I have included a preview of one of the included lessons.